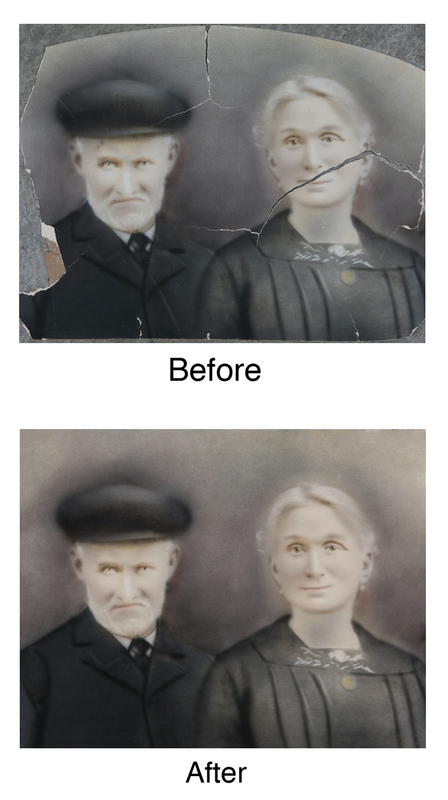 This cherished family photo became severely damaged over time. The image was a bit faded and riddled with tears. A few sections of the image were actually missing. We carefully restored the image and adjusted it's color. This restored image was given to the client on cd as well as a print, suitable for framing. The family has now been able to share this precious image with family members who never knew it existed.